Microsoft has been on a long losing streak when it comes to i4i’s U.S. Patent No. 5,787,449. 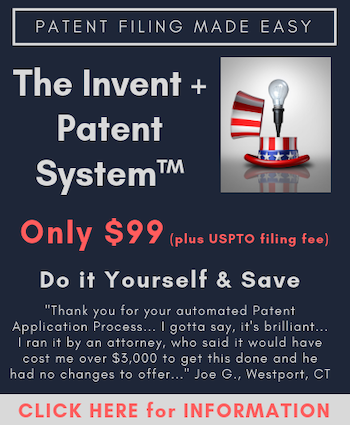 It is now trying to turn that streak around, by filing this past Tuesday another reexamination request against the ‘449 patent. An East Texas jury found that the ‘449 patent was valid and infringed by Microsoft Word 2003 and Microsoft Word 2007 that contained custom XML. Judge Leonard Davis ordered Microsoft to pay i4i $290 million. This past December, the Court of Appeals for the Federal Circuit affirmed the judgment against Microsoft. In July the U.S. Patent Office concluded a reexamination of the ‘449 patent, confirmed that it was valid of certain prior art references submitted by Microsoft. Then on August 11, Judge Davis enjoined Microsoft from selling, using, instructing others, providing support, testing or marketing a Microsoft Word 2003 or 2007 Product that is capable of opening an XML file. Microsoft retains only the very limited right to provide support for customers who bought or licensed the software before the date of the injunction. The injunction takes effect October 11, 2010. What is not a Hail Mary, however, is Tuesday’s unannounced request for reexamination filed by Microsoft, asking the Patent Office to declare the ‘449 claims invalid over certain prior art references. The request itself is not publicly available, but the transmittal papers accompanying the request indicate that Microsoft is relying on four U.S patents to invalidate the ‘449 claims. I typically advise clients that the sooner the reexamination the better. Why has Microsoft waited so long to file the present reexamination? I don’t know. What I do know is that the bigger the company, the more hesitant it is to act. Big companies can almost act as if they are indecisive about every step. The consequences of such a scenario is that it freezes big companies in their steps. Some may want to conclude that the filing of this reexamination might be analogized to Flexiteek Americas v. PlasTEAK, which I wrote about in the article Trial Judge Terminates Injunction After PTO Issues Advisory Action in Reexamination. In Flexiteek Americas, Judge Cohn relents and refuses to enjoin the defendant despite a jury verdict of infringement where an unfavorable advisory action had been issued. Unfortunately for those who might want to make such a comparison, there are two differences: (1) the PTO is a long way from issuing an advisory action of invalidity as in Cohn’s case, and (2) Judge Davis doesn’t seem to care about the prior art relied upon by Microsoft in the reexamination – he allowed Microsoft to use only one reference at trial because it had waived reliance on the other references. That single reference appears to be the same reference relied upon by Microsoft as the primary reference in Tuesday’s reexamination. I don’t know why Microsoft didn’t present all the prior art in the Texas case sooner, and I can’t explain why they might have wanted to wait until after asking the Supreme Court to take the appeal before filing the most recent reexamination request. One thing is for certain though: Microsoft would be in a much better position at this point if it had filed the request a year ago. Had they filed the request sooner they might already be at advisory action stage now, which could have provided a stronger case for refusing to enjoin the defendant as was the case in Flexiteek Americas. There is no such notice in either the Extra Parte or Inter Partes Reexamination requests included in the Tuesday, Aug 31 Official Gazette. The Official Gazette reports reexamination requests filed approximately three months in the past. I believe that the Gazette waits until the PTO has taken some action on the requests. That is why our blog — Reexamination Alert — posts requests filed each week as the information becomes available. Look at Ex parte Reexamination 90/011,198 on PAIR. At the time I wrote this post, only two transmittal papers, not the full request, were up on PAIR. Over the next few days, more of the reexamination request papers are likely to be posted. While I can understand that the price tag on the judgment might make Microsoft want to fight Judge Davis’s decision, I think the megacorp should just man up and end its quixotic bid for some sort of reversal. Maybe Microsoft’s management misjudged the weight that the company’s famous name would carry. Large corporations that infringe others’ patent rights must pay for their transgressions, just like other infringers. Had microsoft simply looked at a tool named Arbortext Adept (which had been around for years at the date of patent filing), they could clearly prove it was doing exactly what was in the i4i patent. It’s really disappointing that Microsoft just did not do their homework and present all of the prior art that very well could have won this case while it was being heard. If i4i successfully fights off microsoft, it really will be a hit on extensible open standards like XML. It really scares me. I compare it with someone being able to sue someone using legos because they put a red block on top of a green block. Ostensibly, that;’s all microsoft did with their custom XML tags. They just made a tag that had other tags – and that was found to be in violation. scary. The latest reexam request is probably another hail mary. Why is Microsoft getting the benefit of the doubt here regarding their culpability–there’s no issue as to willful infringement, is there?